This blog was written by Michelle C., one of GWCA’s adoptive moms and an amazing orphan advocate. Click here to visit her full blog. As a family with three-going-on-four male superheroes, we have a massive soft spot for the testosterone-filled adventure of Lego-building, light-saber-fighting, poop-joke-telling humans, even the ones who hate underwear and fight hygiene like it will be the death of us all. Boys are just a total blast. They’re also the ones most passed over in the world of adoption. In the 1990s and early 2000s, the largest population of children available for international adoption in China was healthy girls. After Lisa Ling’s famous “China’s Lost Girls” National Geographic special, which showed the ramifications of a one-child policy on the abandonment of girls, aired, the world opened their eyes to the thousands of orphan girls waiting for families in China. At the time, Ling reported that 95 percent of the Chinese orphanage population were girls. Now, because of a relaxed one-child policy, an increase in domestic adoption and a cultural shift in the preference for girls, healthy baby girls are being adopted domestically. But those with “special needs” that we know are just superpowers in disguise are not. The children who remain in social welfare centers? Mostly boys with superpowers in disguise. This year, our family has advocated for multiple Chinese superheroes with moderate to severe medical needs. But of the children who have not yet found forever families, a majority of them are boys. Precious boys. Perfect boys. Heart-melting boys. Heart-breakingly sweet boys. Some of them with minor or already corrected needs. One with literally NO MEDICAL NEEDS AT ALL. Aaron is on the shared list. To find out more information, or to have your agency pull his file, email meredith@gwca.org. 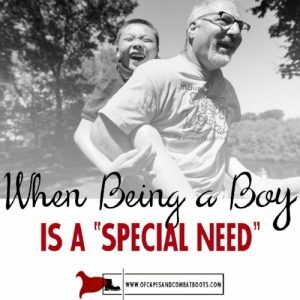 The special need of being a boy in the world of adoption. Every adoption specialist we’ve ever spoken to, no matter whether that specialist places children domestically or abroad, has confirmed for us the preference of girls over boys when it comes to adoption. Which means that boys, in general, wait longer. Especially when it comes to adopting from China. This just crushes us. Because our boys — both the one who was born in China and the two who were born in the United States — are the biggest blessing, biggest blast and greatest adventure of our lives. And we hate that thousands of other boys, not because of their personality or their hearts or their abilities or their souls, but simply because of their gender, wait. This week, I interviewed Meredith Chambers, international adoption specialist at our agency, Great Wall China Adoption, to better understand why boys are so much harder to place than girls. Why there are still a handful of host children who have been advocated for since last summer, most of them boys, who still haven’t found forever homes. What percentage of files that come to Great Wall are of boys? Approximately 70 percent of the files we receive are boys, both in Special Focus and the LID designation. When a file of a girl and a boy with the same condition come to Great Wall, which child is placed faster? Girls are placed much quicker than boys are, particularly if it is a mild to moderate need. For example, a girl with a few mild needs may be placed in the LID designation, but a boy with the same conditions may be placed in Special Focus to increase his opportunity to be matched. The same goes for more severe needs, such as Down Syndrome or cerebral palsy. We often see girls placed at a much faster rate than boys overall. Why are boys harder to place than girls? Great question! We don’t have a concrete answer for this, but we believe that it has something to do with the idea of Chinese adoption that was perpetuated about 10 to 15 years ago when there were so many healthy girls available. In China, the one-child policy inadvertently created a gender imbalance in their population — so many families wanted to keep their boys in order to further their lineage and support the parents financially in old age, leading them to abandon their infants that were girls. Due to this imbalance, China first modified the act so that parents who could pay higher taxes could have more than one child, then they abolished it completely in 2015. This has changed the dynamic of China adoption in that many birth families are now able to parent their girl infants instead of seeking adoption as an option. In addition, domestic adoption has become much more commonplace in China, and many families are adopting healthy girls. These are some of the many cultural reasons why there are now so many more boys available than girls. Because families were accustomed to girls being available for so many years, we believe this may impact their expectations somewhat in regards to China adoption. 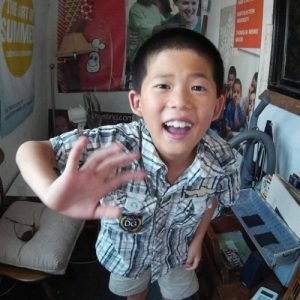 How do you explain to people who still buy the stereotype that China’s orphanages are filled with GIRLS that the biggest need is really to adopt BOYS with special needs? This is something we are still trying to figure out! 🙂 We find that it’s helpful to get families’ information out there who have adopted boys — for example, when people see your blog, they start to realize that adopting a boy is not only a possibility in China adoption, but actually the biggest need that we have. I think seeing family stories really helps to dispel the idea that families have in their mind of a sweet little Chinese girl specifically — it helps them to see how amazing boys are! What information or statistics do you have just within Great Wall that could help us tell these older boys’ stories well? In 2016, GWCA matched about 60 percent boys specifically, and so far in 2017, we have matched about 42 percent boys of our total matches. I have recently seen two older boys with almost NO medical needs still waiting for families — Colt, who had his heart repaired years ago, and Aaron, who has NO needs. Do you have any idea why these kiddos are still waiting? Is it age? Is it age and being a boy? Yes, definitely. It shocks us that these sweet kiddos with no needs have not found their families yet. One aspect about this in particular is the age that the kiddo was when their file was prepared. If it wasn’t prepared until later due to lack of resources, then the child is already at a disadvantage, even if they are physically healthy. A lot of kiddos this age have developmental delays as a result of growing up in an orphanage environment as well, so even if they have no physical need, their delays may hinder their opportunity as well. Years ago, when we discovered the number of girls abandoned in China, we were shocked and appalled when GENDER was the biggest obstacle to a child having a forever family. And we MOVED! WE RESPONDED! We pursued this population who needed an advocate and a voice! Will we do the same thing NOW? Boys like Leo, Aaron, Ben and Colt — who ages out of the Chinese adoption system in September and will remain an orphan FOREVER if he doesn’t find a family IMMEDIATELY — depend on it. ** URGENT: AGING OUT IN SEPTEMBER ** Colt was born with tetralogy of fallot, but he had surgery in April of 2005 and has thrived since that time, Colt is an incredibly smart, social child who would thrive in a forever family. Colt is bright, independent and mischievous! He loves his teachers and classmates, and he is currently in school. 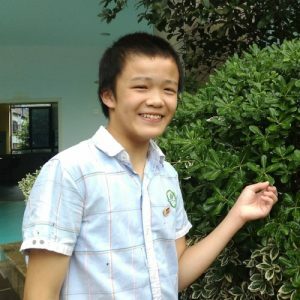 He also loves his brothers and sisters in the orphanage and hopes to one day be adopted and come back to visit them to tell them about the United Stated. Colt has wanted to be adopted for a long time and told his caregivers to tell prospective parents, “Dear Father and Mother, I am waiting for you in China.” His caregivers say that he is cheerful, helpful and has a warm heart. If he sees a caregiver working hard, he will say, “Let me help you, you look so tired.” He is a sweet, charismatic little boy who needs to have the love of a family. His caregivers love him very much and hope that he is adopted soon. Check out this video of this deserving superhero, who cleans and makes his bed FAR BETTER than the ones in my house who still pretend like we haven’t given them 75 lessons on the topic: https://www.youtube.com/watch?v=7UUzwQV93v0&t=1s. Although he was listed with Great Wall China Adoption for a period of time, he is now on the shared list. But Great Wall can provide detailed information and more videos on this sweet boy that everyone has fallen in love with and can’t stand to watch live out the rest of his life without the love of family. For more information on Colt, who ages out in September, please contact Meredith at meredith@gwca.org ASAP. Families best able to reach him will have dossiers logged in China or are eligible for dossier copies. Check out photos and videos of these boys and others by scrolling our Facebook page at www.facebook.com/ofcapesandcombatboots. And then join the Operation Orphan Warrior team to advocate for them on social media. Sharing the orphan story can change it. Let’s be the voices to change these superheroes’ stories.